Best hybrid golf clubs 2019 - buying guides & best sellers! A hybrid golf club is exactly what it says on the tin. It is a cross between a wood and an iron. The best hybrid golf club is similar in shape to a wood, with the added advantage of being easier to hit. 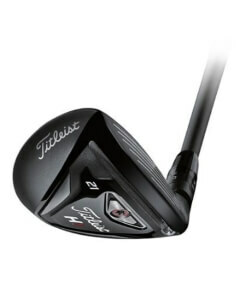 They can deliver distance that is the same as an iron, because of the loft and length delivered. Many players have found that they can replace their long irons, such as their 3- and 4-irons, because the best hybrid golf clubs offer ease of playability and a great forgiveness on hits off center. While the 3- and 4-irons may be the popular choice for replacing with hybrids golf clubs many others can be chosen depending on ease of hitting. Here are the top hybrid golf clubs for the year! Titleist unveiled a pair of new hybrids, the 816H1 and 816H2 at the same time as part of their reorganisation of releases to pair hybrids with irons. The 816H1 is noticeably bigger than the H2, which is not small. The 816H1 is the bigger, easier to hit version and 816H2 is for the better player. The new innovative performance technologies in TaylorMade’s M2 2017 Hybrid creates a versatile hybrid with exceptional sound and feel. The sole of the club houses a longer, more flexible Speed Pocket, which offers speed and forgiveness on shots struck low on the face. Following the success of the Cobra King F6 hybrid, Cobra launched the F7 Hybrid in January, 2017. 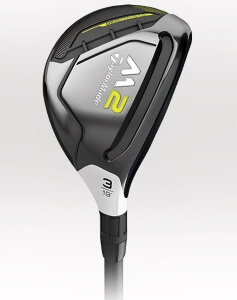 This is the first hybrid from Cobra that has rails technology for ultimate forgiveness. The ‘Baffler Dual Rail System’ or the ‘two rails on the sole’ stop the sole from digging into the ground and enable it to skip through the turf to reduce the effect of friction and keep the head moving as fast as possible. The rails act as a Smart Pad to maintain a square club head at address regardless of the loft setting. 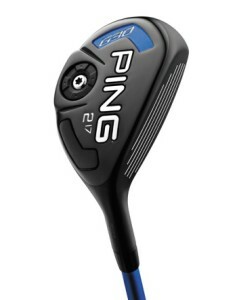 Launched in 2016, Ping pushed hybrid technology forward with the G’s innovative tiered internal sole that helps activate face flexing to power the ball off the face faster for greater distance. The ultra-thin crown allows for a low-back centre of gravity to ensure high launch, reduced spin and a higher MOI for maximizing forgiveness. What Can You Expect to Learn from the Best Hybrid Golf Clubs Reviews? Almost every golfer hitting the golf course will have a well equipped bag, but there will be a sweet spot that can’t be achieved with one of the more common golf clubs, which is where the hybrid golf club comes in. But how can you decide on the best hybrid to give space to in your golf bag? By reading some of the many hybrid golf clubs reviews. How can you be sure that the review is accurate, and what kind of information will the review be comparing? The obvious place to start is by doing a quick search using one of the popular search engines. You’ll be amazed at the number of hits you get and are probably going to find it all a little confusing. There will actually be two types of hits you get – hybrid golf club reviews from product manufacturers, golf advice and sales sites, and forums. Both have their advantages, and are worth spending time reading. You’ll get an all round idea of the brand of hybrid golf club you’re looking to buy, and an honest review from a real live person that has actually used it. You may also be lucky enough to get the opinion of a professional. What is the purpose of hybrid golf club reviews? When it comes to golf hybrid reviews on the sites of particular brand names and sales sites the obvious purpose is to get you to buy a specific product. However that doesn’t mean that what they say is untrue. After all what would be the point in that? There maybe a quick influx of sales that are generated but word would soon get around that the information is unreliable. Our aim is to generate sales, but we are confident in the details that we provide our customers with, and we also aim to keep new and seasoned golfers up to date with the latest news and product information. As well as provide our readers with helpful tips and advice. Forums on the other hand, are written by actual golfers and can be a good way of getting a second opinion. You’re also more likely to get a review that includes good and bad, warts and all. However, comments on a forum should be taken with a pinch of salt, as there will always be the odd customer who feels they have an axe to grind and are sometimes a little bit biased in their negative opinions. This is why it’s a good idea to get as much information as you can about a particular brand of hybrid golf club, and form your own final opinion by trying the product out for yourself. Playability – You will learn about the forgiveness of the club that’s being reviewed. Also whether it’s good for hitting from the rough or more suitable for straight green shots. You’ll learn whether the club has a tendency to drag or dig. Accuracy – This is always good to know, as you wouldn’t want a club that has is likely to lead you away from your intended goal. While some clubs may offer good height and distance you want to be confident that the ball will go exactly where you intended. And for the amateur golfer it’s a good idea to understand whether a particular club is forgiving of those inevitable misses. Distance – Hybrid golf clubs are always going to be good at giving you substantial distance but you’re going to need to have an idea of exactly how far. There will always be comparisons with other market leaders that will enable you to make the right choice for your style and level of experience. 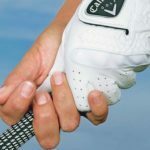 Feel – As we’ve already said, it’s not always possible or cost effective to be able to try out a particular golf club first hand, so the feel of a club, from an expert’s point of view is vital when it comes to making your decision. We understand the game of golf and the wide variety of options available for all levels of players and look forward to giving you the information that will ensure you progress in your game. Keep your eyes peeled for our product information and you going to have fun and improve your game ten fold. Is there any need to follow the reviews for hybrid golf clubs? Reading reviews for hybrid golf clubs is a great way to find out as much as you can before you give the product a try or hand over your cash. It’s not always possible to try before you buy, especially if you’re doing your purchasing from an online retail site. It is also a great way to find out about any new innovations in the golfing equipment market, which is never a bad thing. While you might be perfectly content with the contents of your golf bag you wouldn’t want to miss out on something that will improve your game. Yes, a big part of the enjoyment of a round of golf is being outside, enjoying the fresh air and exercise and simply relaxing, a large part of you is bound to want to win. Drivers – Throughout much of history this type of club has been known as a wood. Due to the fact that they were always made of wood, would seem to be the logical reason. The name has stuck though because while modern golf clubs are manufactured using more modern materials such as steel and titanium, they are still universally called woods. Drivers are used for long distance shots, usually the first shot taken off the tee, on a Par 4 or Par 5. The driver is more commonly known as the 1 Wood, and will have the largest clubhead and the longest shaft in your golf bag. Driver clubheads are measured in cc’s (cubic centimetres). The largest and most popular is a 460cc clubhead, but smaller sizes are available. However, these tend to be used by more experienced golf players. A high cc number will be more forgiving for off-center shots, while a low cc will have extra workability and good shot-making ability. Fairway woods – Also known as ‘Fairway Metals’ or ‘Metal Woods’, they include 3-, 5-, and 7-wood clubs. The higher the number the greater the loft of the clubhead, and hence a higher and shorter length of travel when using it. On the whole, fairway woods come with a graphite shaft, but sometimes the shafts are made from steel. In appearance they look very similar to a driver in that they have a bulbous head and a flat face on one side that is used for hitting the ball. Longer fairway shots, short Par 4 tee shots, and long Par 3 tee shots are when they are most commonly used. However, some players might choose to use them to tee off, rather than struggling with a driver. The reason for this is that a fairway woods added loft helps the shot to travel much straighter. Irons – The best way to describe an iron is as a good all-rounder. They get to be used on every hole, for short and mid-range shots to long-range tee shots. They are usually available in sets ranging from between 6-8 irons (typically including 3-, 4-, 5-, 6-, 7-, 8-, and 9-irons, together with a Pitching Wedge and/ or a Gap Wedge). Irons come with a steel or graphite shaft. The clubheads on an iron have deep grooves that run across the face from heel to toe and run parallel from top to bottom. The grooves facilitate the spin on the golf ball that helps to control the shot. The club will have a number that is an indication of how high and far the shot will travel. A high number means a greater angle of loft, which means the ball will travel higher but for a shorter distance. Improved accuracy is possible with an iron because the clubhead is thinner. As you get closer to the hole you want your shots to be more accurate and the smaller heads of an iron allow this to happen. Wedges – Closely related to irons are wedges, with the same look and build. Wedges however, are blessed with a higher loft, making them excellent when you’re looking for better accuracy and more spin than standard irons. They are particularly good for chip shots around the green, because of their ‘bounce’. The bounce is the angle from the leading edge of the cub face to the sole bottom. A high angle means that the club will bounce off the ground rather than dig into it. Putters – Some players consider this to be the most important club in your bag. It’s usually fitted with a steel shaft and occasionally has a squared or flat grip where your thumb would rest. It has a flat or nearly flat club face, and is much smaller than any of the other clubs.It’s purpose is to roll the ball into the hole when on the green or just to the side of it. There are two types of putter head – blade putter and a mallet putter. Blade putters are much smaller and are the most common and traditional style. Mallet putters have a much larger head and are becoming more and more popular for all levels of golfer. 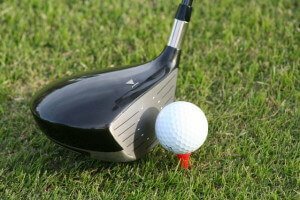 So why was it considered necessary to introduce hybrid golf clubs? Both woods and irons are not designed to be a one club suits all piece of kit. There are good things and bad things about them that can vary among players. After all, even golf players come in lots of shapes and sizes and every one has a certain way of swinging. And while some can master different techniques easily, some will never get the hang of swinging a certain way. Hence the invention of a radical golf club aptly named the hybrid golf club. For some players, long irons (numbers 1-4) can be difficult to hit well, even with the modern designs. Their trajectory is low and the low-loft club head is very small. 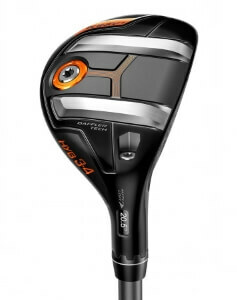 Fairway woods have been a much prefered choice because of their ‘sweet spot’. However their downside is that they have a longer shaft, making the swing mechanism a difficult one to master. Because of the long shaft more room is required making them unsuitable for tighter lies. For example punching out from underneath trees. It’s also not much good when taking a shot from the rough, because its clubface is meant to skim over the top of the turf. Hence the introduction and inevitable popularity of hybrid golf clubs. Golf clubs fall into four main categories – woods, irons, wedges and putters. All clubs available on the market today have some components that are common, so we’ll be looking at these in order to help gain a better understanding of what makes a good golf club tick. We’ll start at the top and work our way down. Grip – This part is pretty self explanatory really. The grip is the part of the club that you hold on to. It refers to the rubber cover that goes over the last twenty centimetres or so of the shaft, and is basically what you hold on to. There are three types of grip – standard, midsize and oversize or jumbo grip. A player selects the type of grip which is best for the size of their hand. Apart from different sizes there are also a wide range of colors, designs and textures to choose from, but these choices are more of a personal thing. Shaft – The shaft is the next major component of all golf clubs, not just the best rated hybrid golf clubs. It is a cylindrical piece of metal or graphite and is available in a range of different lengths, depending on the type of golf club. 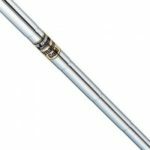 Shafts come with a range of flexes ranging from stiff to very flexible. The speed of your clubhead is what determines the flex that’s right for your swing. The shafts will be marked with a letter to denote the stiffness of flex. As a guide it is popular for men to use an R flex shaft, while women commonly go for the L flex. Hosel – The hosel connects the shaft to the clubhead and determines the lie angle of the club. What do we mean by the lie angle? It’s the measured angle between the shaft and the sole of the club head. A player will adjust the lie angle of the club that they use according to their height, arm length or style of their swing. Not so long ago there would be no alternative than to buy a number of different clubs according to these factors, but adjustable hosels have been available since 2009. 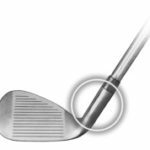 Clubhead – This is the part of the golf club that hits the ball. It is the component that controls the height and distance that the ball travels. This is usually the first component that a player will take into consideration before making a purchase. There are plenty of golf club manufacturers and each has their own technological attributes that will be angled towards a player’s ability. Success on the golf course depends on picking the right components to pop in your golf bag. Don’t worry if you’re struggling to find the right ones, because there are plenty of experienced and veteran golfers that will point you in the right direction, and offer some friendly advice. The best hybrid golf club is designed for better playability on the golf course, by filling the gap between woods and irons that are harder to hit. What is it with a hybrid golf club that makes it easier to hit? A lower profile, wider sole, and lower center of gravity mean you can achieve better trajectory on the longer fairways and approach shots. In length they are equal to the long iron that they replace, and sometimes slightly longer. They are also shorter than the latest modern fairway woods. Lofts range from 18 to 30 degrees. Design and material A hybrids flight face is like an iron, with a lower face profile, wider sole and lower center of gravity than a traditional long iron. 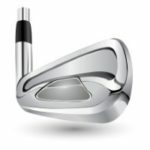 They have been specially designed to deliver distance and trajectory progression somewhere between what you would expect from an iron or a fairway wood. 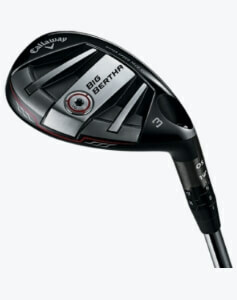 Loft and length You can buy the best rated hybrid golf clubs either as part of a set or stand-alone. Club lengths vary from manufacturer to manufacturer, but are generally equal to or a little longer than traditional long irons. Options for the shaft Almost all hybrid golf clubs come with a graphite shaft that will weigh the same than its complementary fairway wood shaft, but sometimes it can be slightly heavier. Well that’s our brief introduction to the new kid on the block that is fondly known as a hybrid golf club, and a little insight into the world of golf clubs and all that it entails. As you may have realised there are lots of choices, which can sometimes be a little daunting for the new golfers, and can even be known to send the experienced golfers into bit of a spin. You shouldn’t worry though because there are countless websites, including this one, as well as lots of real life players who can be looked to for words of wisdom.